Egypt’s housing market is struggling again, after strong performances in the previous two quarters. The nationwide real estate index plunged 20.91% during the year to Q3 2018, after y-o-y rises of 4.51% in Q2 2018 and 11.45% in Q1 2018 and annual declines of 11.49% in Q4 2017 and 8.68% in Q3 2017. Nominal house prices also fell by 8.28% y-o-y in Q3 2018 – the first annual decline since Q1 2016. Real house prices dropped 18.53% q-o-q during the latest quarter. Analysis: Property market outlook remains positive. Despite this, Egypt’s housing market is widely expected to improve in the coming years. Why? Because inflation is eating up a large portion of Egyptians' savings every year. So Egypt's moneyed classes are buying property like there is no tomorrow. Especially as it is hard to get money out of the country. And there are excellent rental yields in Cairo. In October 2018, the headline inflation surged to 17.7%, up from 16% in the previous month and the highest level in 11 months, according to the Central Bank of Egypt. 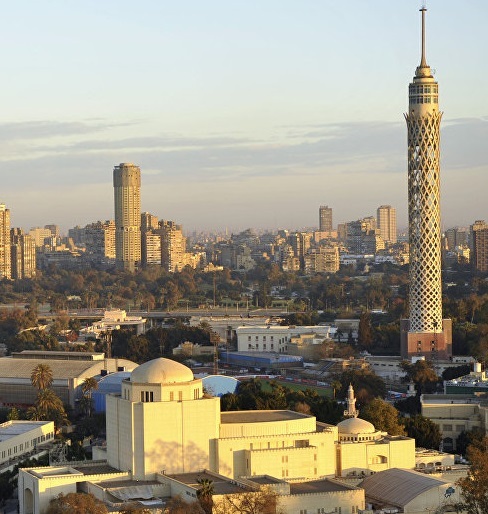 Cairo apartments are inexpensive at around $831 per sq. m.
Recent news. President Abdel Fattah el-Sisi recently removed the last restrictions on foreign ownership of land and property in Egypt, in an effort to buoy the housing market. He also allowed the government, the biggest landowner in Egypt, to use its land for public-private partnership schemes. The economy is expected to grow strongly by 5.3% this year, the fastest pace in a decade, according to the IMF.